Get Zimbabwe vs Australia live streaming info here. It’s the 3rd T20 game of the ongoing tri-series twenty20 tournament including Pakistan in Zimbabwe. Aussies defeated Pakistani national cricket team in the opening match of the triangular series. In today’s game, the Kangaroos will play against the host Zimbabwean team. The match is scheduled to be played at the Harare Sports Club at Harare. It will start at 1:30 pm IST. The Aussies had to chase a comfortable target of 117 runs. They achieved the target with the loss of just one wicket and almost 10 overs were left to be bowled. The Australian captain Aaron Finch turned out to be the star performer as he made 68 runs and remained unbeaten. Australia got its first victory across formats after nine international matches. 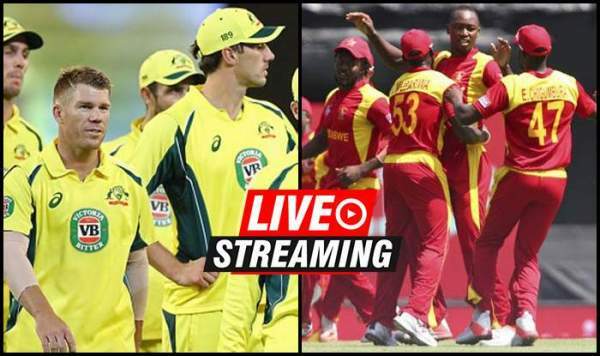 Stay tuned for Zimbabwe vs Australia live streaming 3rd t20 cricket score, match result, highlights, etc.